SimFarm is quite an old DOS game by Maxis--it's posted on Abandonia now. 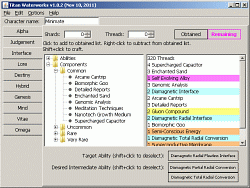 This is a program capable of modifying most aspects of SimFarm. 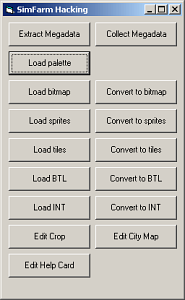 This is a utility DeProgrammer wrote in Java to help City of Heroes players keep track of the elements required to craft their Incarnate Abilities. It was made for the Titan Network, so that's where it's hosted.